Lesson 5 covered material found in Ephesians 4:1-16. Paul writes to believers in Ephesus and tells them that a Christian walk should be comprised of being humble, gentle, patience, and forgiving others for their mistakes and loving them. I struggle with forgiving others quickly when they hurt me. Sometimes it takes much more time than it really should. I tend to hold on to anger and get offended when I need to turn it over to God and let him handle it. Next, Paul reminded believers that Christ has given every single believer an extraordinary gift because of his bigheartedness and kindness. In 1 Corinthians 12:8-10 and Romans 12:6-8, we see a list of spiritual gifts that is given to us in order to help others. They are special knowledge, great Faith, gift of healing, power to perform miracles, prophesy, discernment about different spirits, speaking in tongues, interpretation of speaking in tongues, serving others, encouragement, giving, leadership, and kindness. We all have different spiritual gifts and our responsibility is to use our gifts to build up the church. We are also one body in Christ and we’re called to unity. Some of my spiritual gifts that God has blessed me with is wisdom and giving Godly advice and discernment in what people are saying and the truth. This is the reason why I’m majoring in Psychology and I want to be equipped to help children and adults, who struggle with low self-esteem, eating disorders, love and relationship issues, red flags in dating, how to end bullying, preventing suicide, parenting children, marriage problems, overcoming addictions, grief, handling stress in the workplace, how to monitor technology usage with children, how to protect our children from predators, how to help foster children to deal with the trauma experiences of losing or being abandoned by their birth parents, and people who were abused. My goal right now is to become a counselor and to assist people with their concerns. In Ephesians 4:14, Paul stated that mature Christians aren’t tricked with lies that sound like the truth. A key characteristic of a mature believer is speaking the truth in love. This way we will be more like Christ. When each part of the body uses their special gifts, the Kingdom of God is functioning the way God intended it to. What are some of your spiritual gifts? 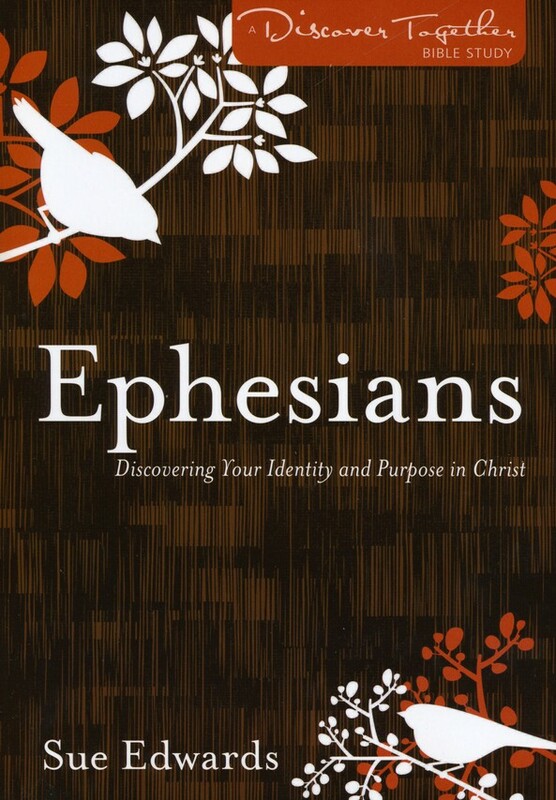 I intensely hope that you will be joining us in this wonderful study of Ephesians by Sue Edwards! Together, we can learn more about Christ and God’s written Word. And also please check back each Friday on my blog through November 18 for more insights into the amazing study!